As you know, I'm already working on a pair of socks and a blanket (both super slowly right now due to my latest obsession), but I'm planning ahead too! I want to knit other things, so here's the first of my hopeful queue. 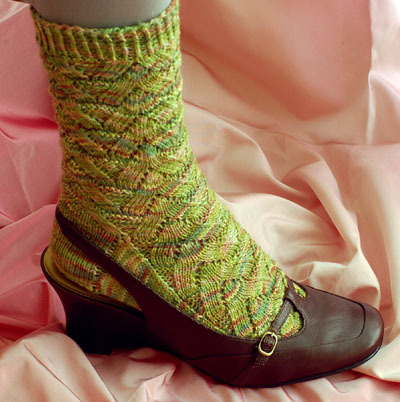 I'd like to make these for my mother-in-law out of the pumpkin colored Gloss sock yarn I have. 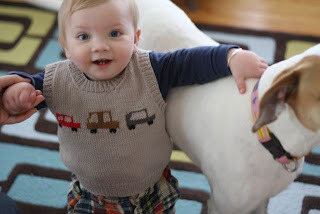 I'll add to this later, but isn't that vest the most darling thing ever? I've done the monkey socks! They actually go pretty quickly, and turn out really cute & comfy!